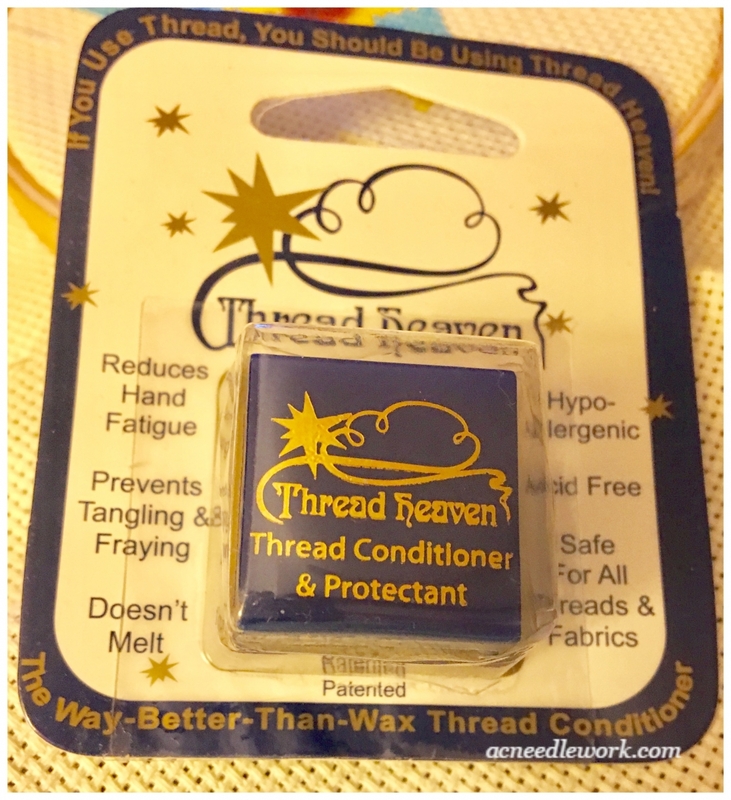 Do you use a thread conditioner when you cross stitch? I had never used one until I discovered a product called Thread Heaven in a catalog. 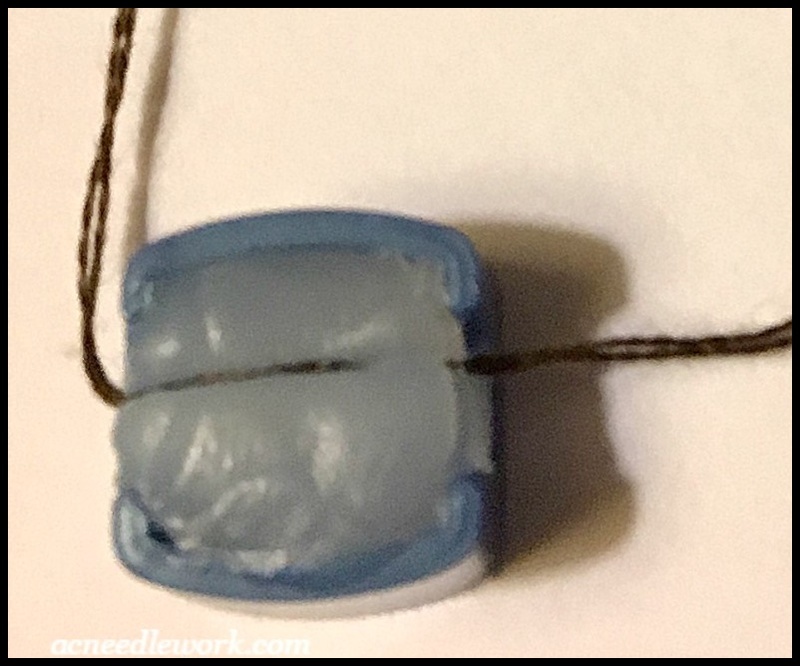 At first, I was a bit skeptical that it would make a difference in my stitching, but it really did reduce the knotting and twisting of my floss. 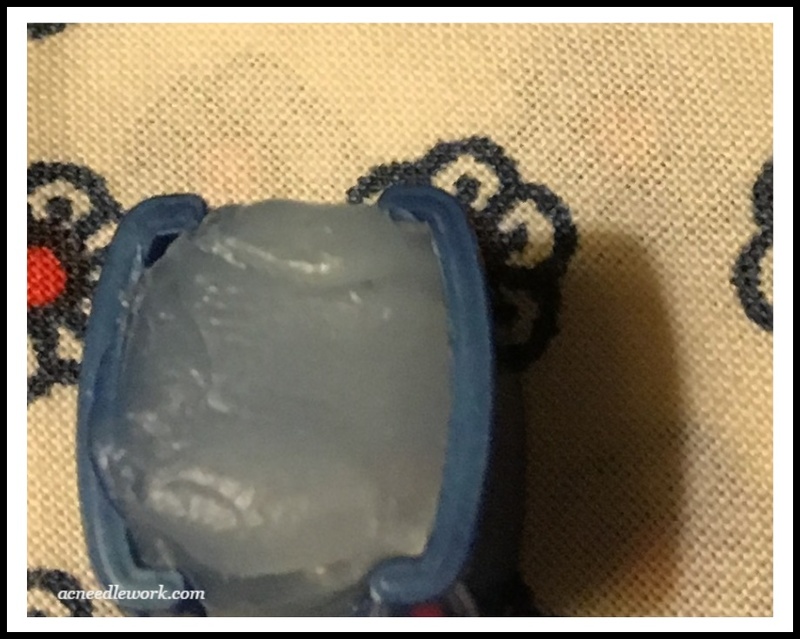 (You can read my initial review in a previous blog post, 5 Practical Tips Every Stitcher Needs to Know). Just as I was “sold” on it, rumors began to abound in the stitching world that Thread Heaven would soon be no more! The rumors were true. In September, 2017 the company owners retired and Thread Heaven is no longer in production. I checked briefly on the internet and found it for sale but also found what I consider to be overpriced at this writing. (Prices ranged from $25.00 to $15.00 for one pack). So that is not an alternative for me. I have never used bees wax; therefore, I cannot share any personal experience with it. There are various brands available at local craft stores or on-line sewing and craft websites. The price range is affordable (from $2.00 to $4.00 per pack). I found mixed reviews. Some people found that it worked great for them but others complained about the wax crumbling and leaving a residue on the thread. Try a conditioner similar to Thread Heaven. 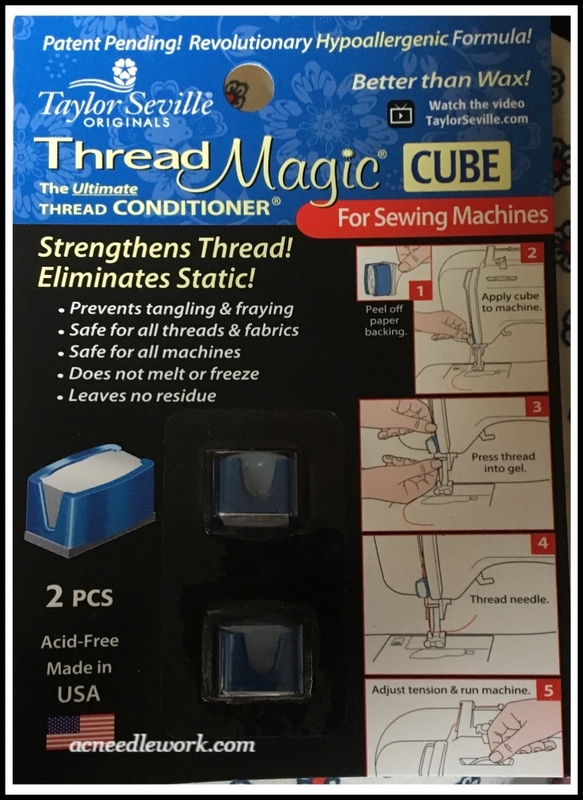 I finally settled on a product called Thread Magic®. On the package you will see this version is for sewing machines but it also works for floss for hand needlework. It does come in a larger size but I found these small cubes easy to work with and they fit in my stitching bag. Price ranges are reasonable (between $7.00 to $15.00, depending on the size of the package). These photos will give you an idea of what it looks like. I was pleased with this product. It felt similar to Thread Heaven. The application was easy. It left no residue on the floss. The floss did slide through my 16 count Aida smoothly and tangling was reduced. Thread conditioner is not a requirement for creating beautiful needlework. 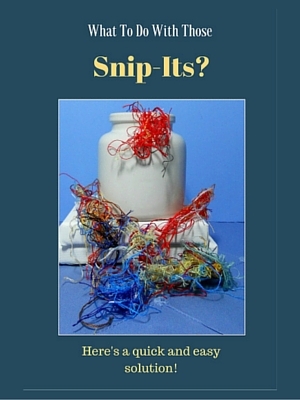 I stitched for many years without using any. I find the biggest advantage to using conditioner is that it reduces the twisting and tangling of my embroidery floss. 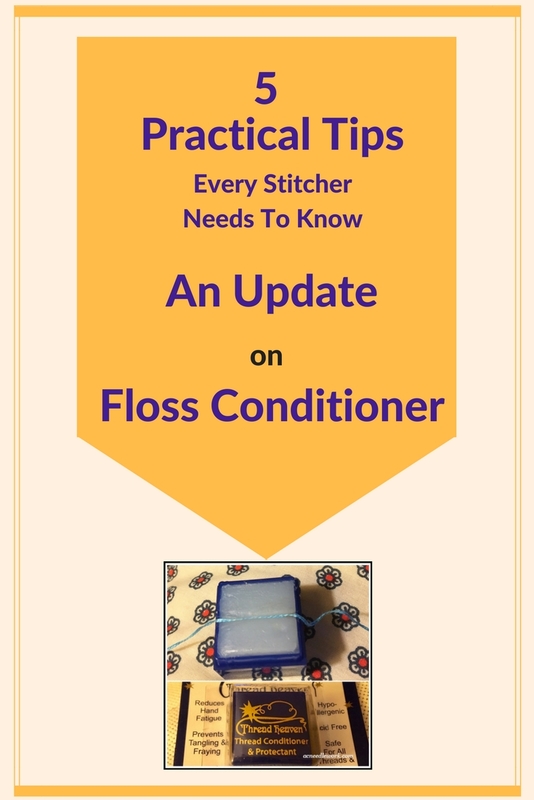 Whether you may be thinking of trying a floss conditioner or you are looking for a Thread Heaven replacement, I hope you will find this information useful! Do you use a thread conditioner? If so, what do you use? Share your experiences in the comment section below! © 2018 Anne Cole. All Rights Reserved. 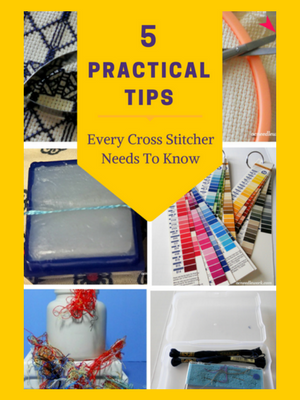 Want more tips from AC Needlework? Check out these posts. Beeswax has probably been used since man first started to eat honey! If it leaves a residue on the thread, just turn the stitched piece upside down (right side of work down) on top of a thick terry towel and gently press with a medium hot iron. The wax will be absorbed by the towel and everything is fine. The lump of beeswax eventually will have collected lint from all of threads that have passed thru it. I melt it gently in a small metal cup--a stainless steel jigger works well--set in boiling water (double boiler style like you would melt chocolate for baking) then stir around in it with a toothpick which picks up the lint to be discarded. Let it cool til solid, then put the jigger into the freezer for 10-15 minutes. Tapping the cold upside-down jigger on the counter will make the like-new lump of beeswax drop out to be reused. What wonderful information! Thank you so much for taking time to share you expertise on using beeswax. I will have to try beeswax with my floss. When I was a kid a neighbor had bees and he always shared his honey with my family. He always left the cone in the honey and I loved chewing it as gum. It was always so much better than any chewing gum you could buy at the store. PS-Get it from your local bee-keeper for practically nothing!